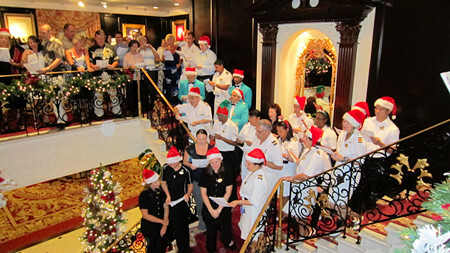 There's no happier way to celebrate the festive season than on a Christmas cruise Tahiti. 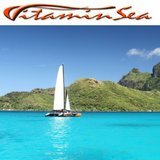 It's the ultimate destination and this is the most social time of year to sail. 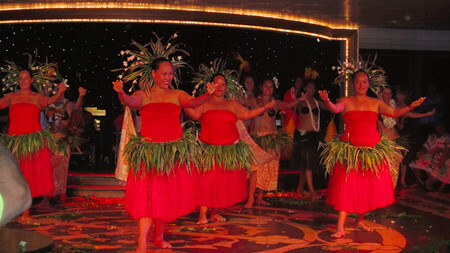 Cruising in French Polynesia provides great value accommodation and food, plus easy travel between islands. 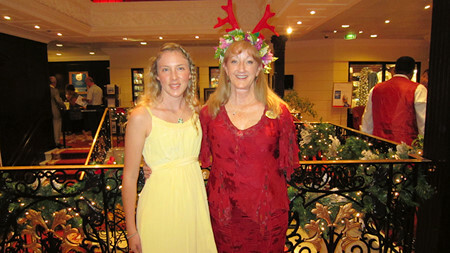 Christmas was approaching and I thought I'd like to do something different so I surprised my mum with a Tahiti cruise. It was a last minute booking so we were fortunate to get a stateroom with a balcony for the price of a regular cabin. 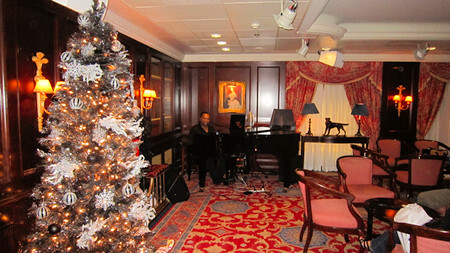 As we checked on board the perfectly adorned Christmas trees gave us a big thrill. Next morning Ocean Princess departed for an amazing Christmas cruise. 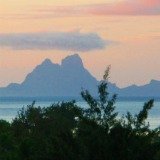 Tahiti's main island faded into the watery horizon as we sailed off for a 10 day voyage to 5 of the most beautiful islands in French Polynesia. The lively ambiance made it clear this wasn't just any sailing! You could almost hear the sleigh bells ringing. Every moment there was something to remind us we were on a Christmas cruise. Tahiti and Princess turned on the joy. 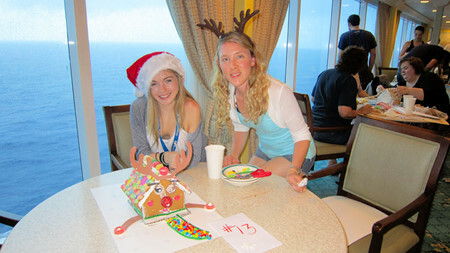 As it was the holiday season, we met a wide variety of people of all ages on board. 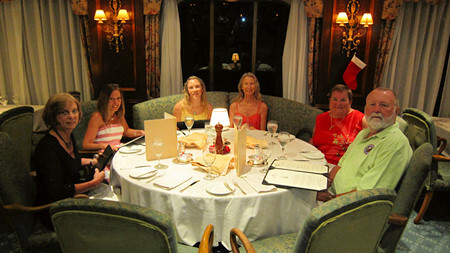 In the formal dining room we were seated at a round table of six. Two of the others were a mother and daughter combination, like us. Rachel kept the table lively. Was she full of surprises! She wore the prettiest dress in the dining room each evening, and talked of motorbike rides across the United States. She works for Harley Davidson. The other couple we shared fine dining with, Bob and Jane are soft hearted rocket scientists (I'm not kidding) stationed in the Marshall islands. 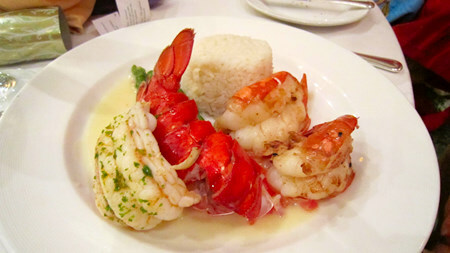 Every night we laughed through 4 delicious courses, and gained a reputation for being the last table to leave the dining room. By Christmas day we were sitting down to dinner with old friends. Most evenings the captain would let go of the anchor around dinner time and we'd sail gently through the night. In the morning we'd arrive at a new island. This was my first cruise with the luxury of a balcony stateroom. 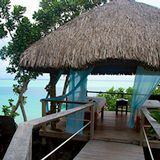 We loved having our own balcony to step out on, at first glimpse of each exotic island. 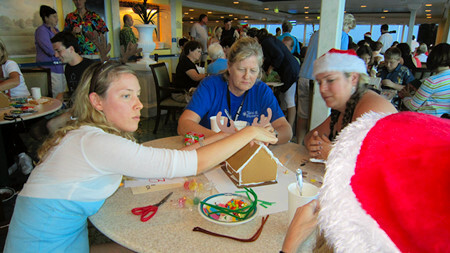 During our second at-sea day, to Raiatea, Princess held a 'Gingerbread House Competition' to create decorative Christmas scenes. 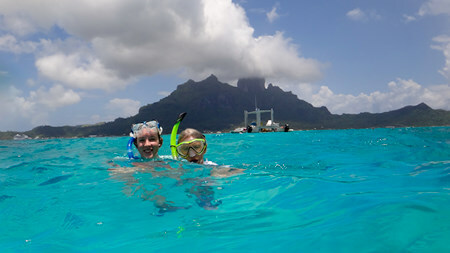 I joined in with friends we'd drift snorkeled and picnicked with, on an incredible whole day tour at Huahine. 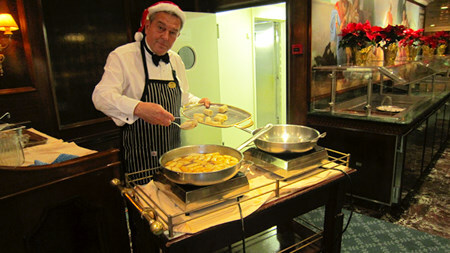 The Christmas spirit in the buffet became very competitive! We built a Rudolph gingerbread house! 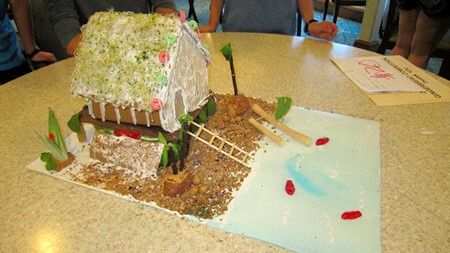 And the winner is...a Tahiti inspired over water bungalow! 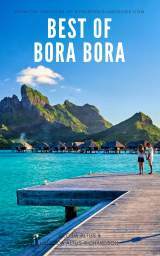 We breakfasted early on the 24th to be up on deck and share the excitement as Captain Ravera navigated the ship through the narrow channel of Teavani Pass, into the brilliant Bora Bora lagoon. 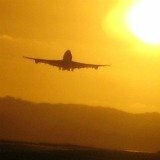 The experience was even more dramatic because we were arriving for Christmas. After anchoring we had an awesome 'up close and personal' view of majestic Mt Otemanu from our balcony. 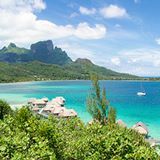 The newly refurbished Paul Gauguin, which is dedicated to cruising French Polynesia, was already positioned in the lagoon. 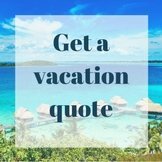 It was also offering a Christmas cruise Tahiti. 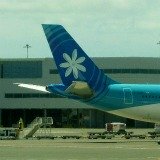 These islands are far flung so it wasn't a coincidence that the Gauguin was here too. 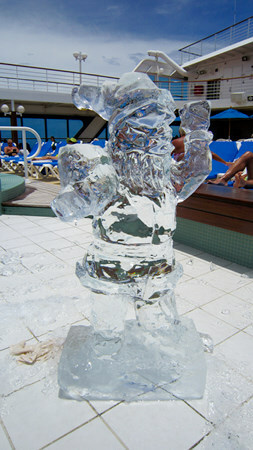 It also wanted to give it's revelers Christmas on the world's number 1 island. As the ship's tenders docked at the Vaitape wharf the little town was eager to welcome visitors. 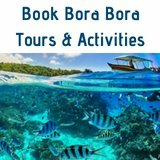 Tour providers had set up stands on Vaitape wharf to promote Bora Bora excursions to those who hadn't booked yet. Polynesian mommas had been busy making their traditional wares and were waiting at the arts and crafts center near the wharf to proudly sell their products. What a unique Christmas everyone had planned! 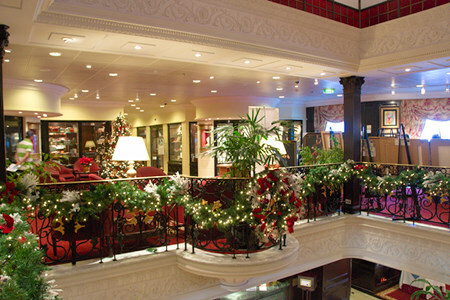 Most of the passengers had pre-booked tours through the ship excursions desk. 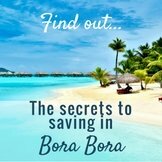 First time divers were anticipating their baptism in the sparkling waters of the legendary Bora Bora Lagoon. The really adventurous headed off to descend 60 meters down in the Pacific Ocean to spot black-tip and lemon sharks, and explore a coral reef. 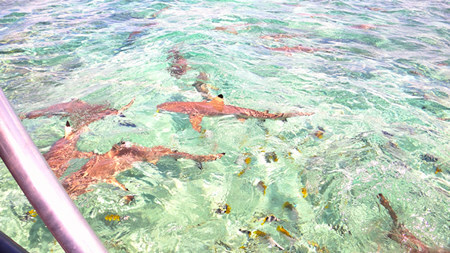 Meeting the black tip reef sharks....in the water we go! 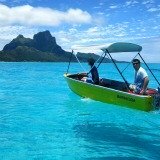 Those who wanted to enjoy the lagoon, but keep their hair dry, chose to ride in the glass bottom boat to view colorful marine life. 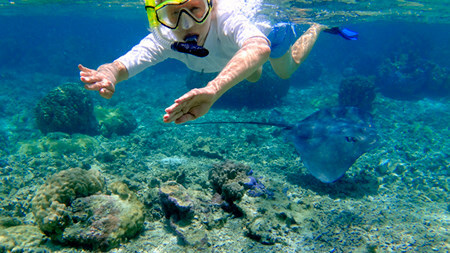 The most popular event was the sting ray and snorkeling tour. That's our favorite! 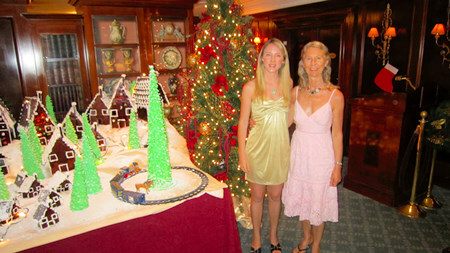 We were so lucky to have Christmas day in paradise! 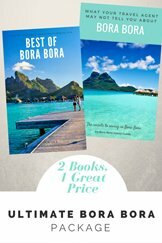 You can see more of our wet and wild Christmas in Bora Bora here. 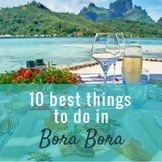 If you're looking for other types of fun things to do in Bora Bora, here are ideas for how to get around Bora Bora Island to some of the best Bora Bora activities. 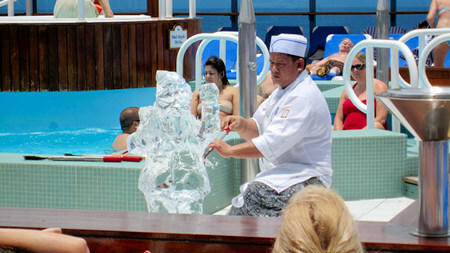 We also have suggestions for activities and attractions you can independently find your way to from a cruise ship. 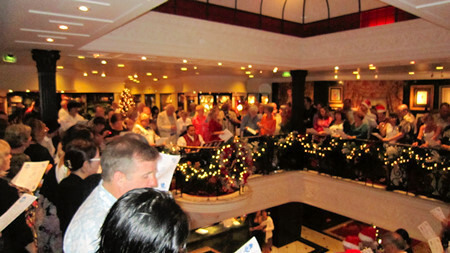 On Christmas eve we joined a large group of enthusiastic passengers and member's of the ship's company for caroling. At the same time a Hanukkah candlelight service was held in the library, with the lighting of the fifth candle. At midnight Father Bernott held mass in the cabaret lounge. 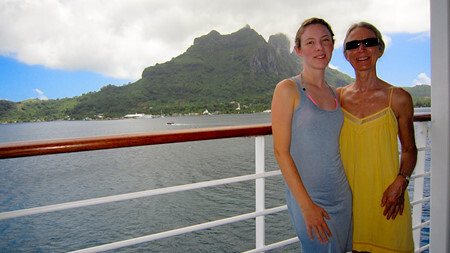 The turquoise lagoon was the best thing about a Christmas cruise Tahiti style! Everyone wanted to enjoy the calm, warm water. Our tour guide took us to three different snorkeling places. One had been protected for years, to allow the colorful coral to grow back after a swell. We sat down with our table of friends to compare the day's adventures and feast on roast turkey, succulent pork, and delicate seafood dishes. Without having to think about who would clear up! 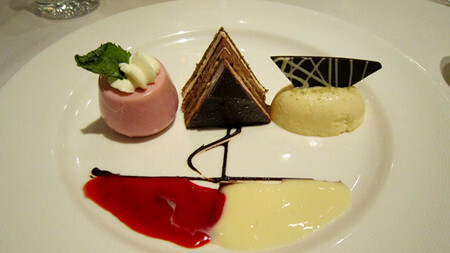 The most difficult part was that the chef had put several tempting deserts up against Christmas pudding on the menu! It was impossible to decide, so we just managed to try some of each before showtime. The buzz of the "It Only Happens Once A Year Holiday Extravaganza" completed a perfect day. 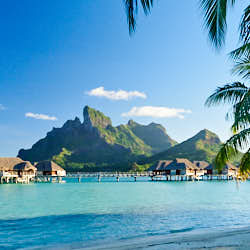 If you're contemplating a Christmas cruise Tahiti and Her Isles provide the ideal destination for romantic adventures. 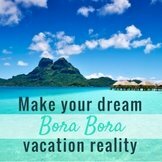 You'll feast on wonderful food, have many unique experiences, and return home with a lot of new email addresses or face book friends. 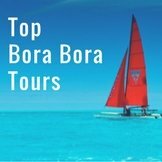 You can choose from a variety of cruise-ships that sail through Tahiti. 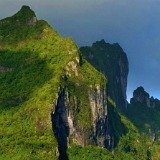 Have you read what it's like to arrive in the Polynesian islands for an exciting Christmas in Tahiti?